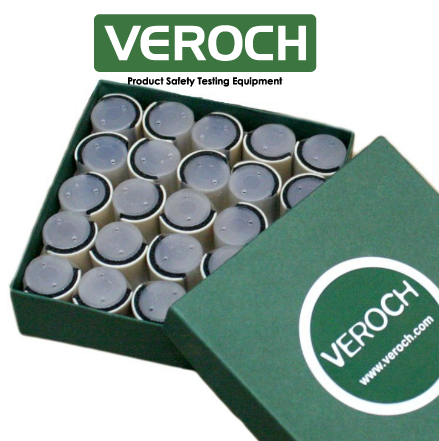 The VRI RC 25 Sharp Edge Tester Replacement Caps for VRI SE (VEROCH Sharp Edge Tester) are constructed to meet the latest revised UL standards. 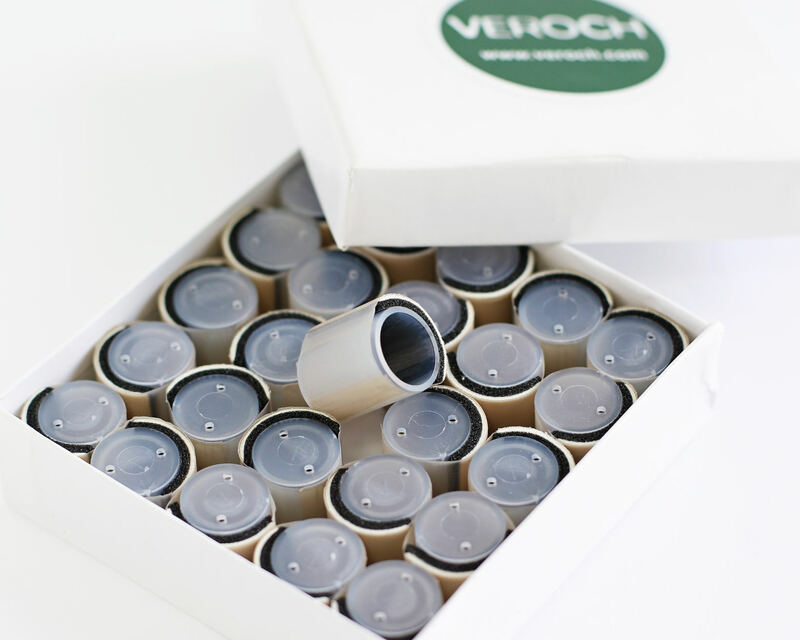 They consist of three pre-assembled tapes on a plastic cap. The cap slips onto the VRI SE mandrel for testing. The tape caps are constructed using three layers: one layer of black foam tape, one layer of white tape; and one layer of skived Teflon® tape. 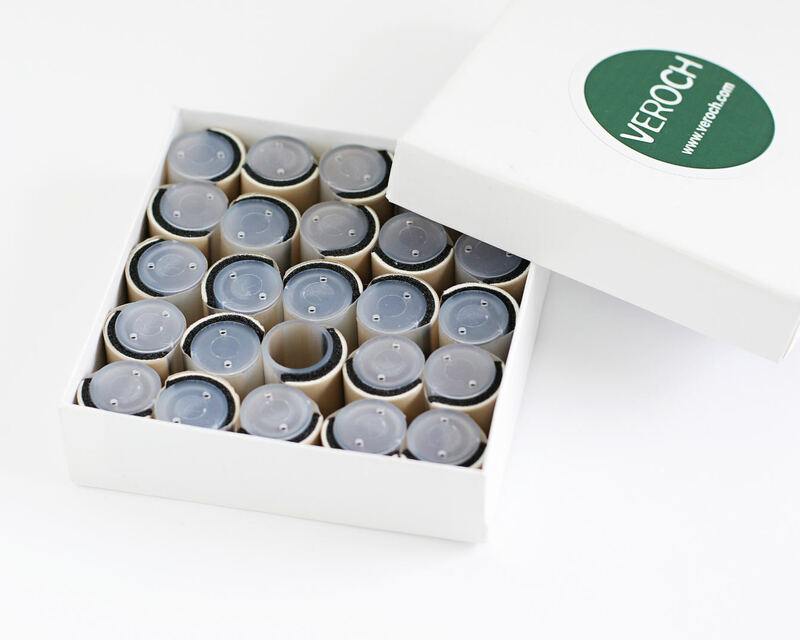 The Replacement Caps for VRI SE (VEROCH Sharp Edge Tester) are interchangeable with sharp edge testers made by other manufacturers. 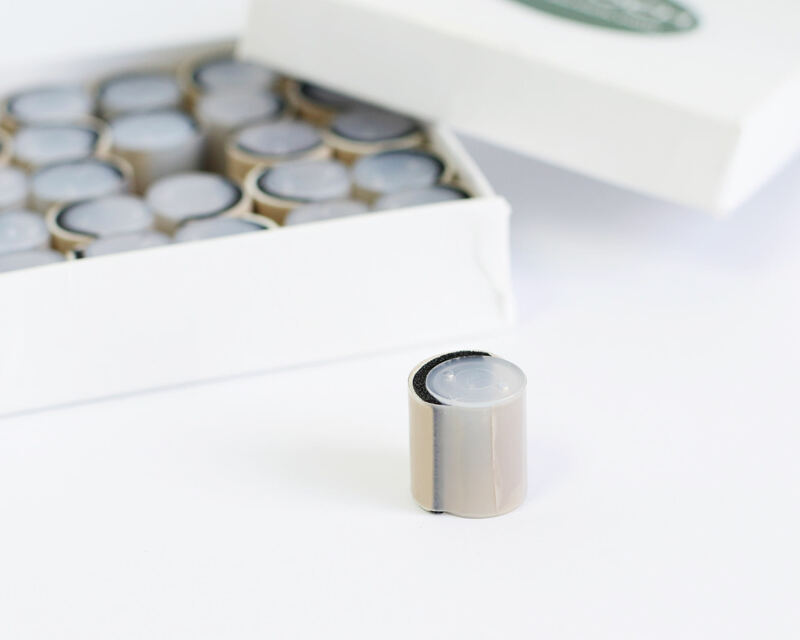 The Tape cap is the most efficient way for the inspector to easily and quickly conduct multiple tests. 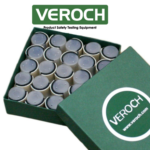 Each time a test is performed with the tape cap, it can be removed, identified and replaced within seconds thus providing more tests in less time to facilitate inspection reports.